The origin of the Basque and their language, Euskara, is still the subject of politically charged debate. They are the descendants of the original inhabitants of Western Europe. 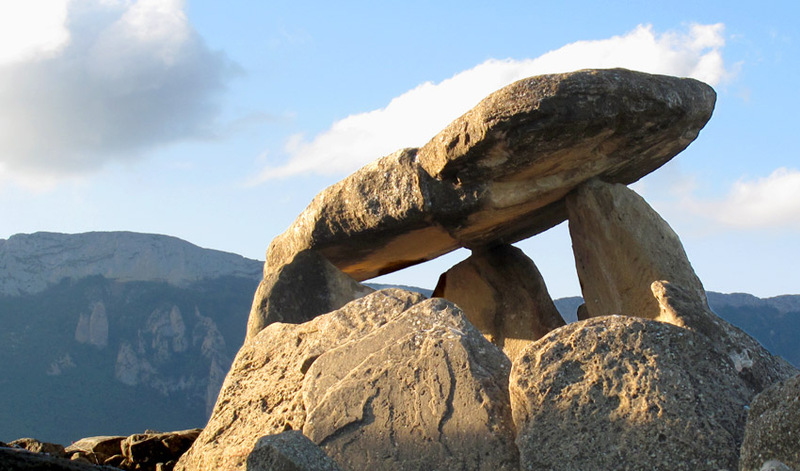 Megalithic stone tombs and rock paintings, many scattered throughout the Basque Country, testify to the presence of these ancient societies. When the Romans invaded the Iberian Peninsula, they found a well-established people in the western edge of the Pyrenees whose influence extends deep into the heart of the present-day France. Managing to remain unconquered by the Romans, the Basque worked alongside the newcomers until the fall of the empire. The influence of the Basque people reached its peak in the Middle Ages during the reign of Sancho III, King of Navarre. Around the year 1000, the Kingdom of Navarre encompassed the entire current Basque Country as well as part of the Spanish provinces of Aragon and Castile. It even extended to the gates of the city of Bordeaux. This is the first and only time in history when the Basque were united within a single political entity. However, it is unlikely that political unity was motivated by a strong sense of belongingness within the Basque culture. Sancho III proclaimed himself Hispaniorum Rex,”King of Spain”, and therefore had visions beyond the borders of “the land of Basque-Speakers”. Navarre, it is interesting to note, was at the time one of the Christian powers engaged in the reconquest of the Iberian peninsula, then occupied by the Arabs. 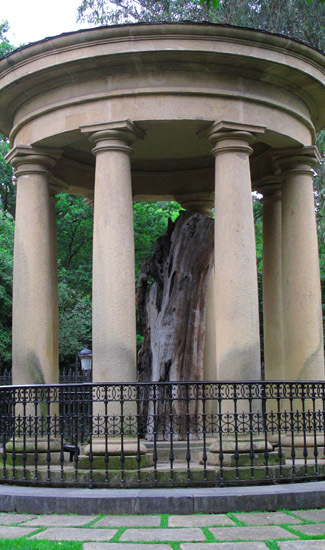 The ancestral Gernika Oak where Spanish kings came to swore to respect Basque liberties and privileges granted by the fueros. The end of the reign of Sancho III was soon followed by the division of Navarre. This can be attributed to internal conflicts over territory as well as wars of influence waged by the kings of Navarre and Castile with Basque nobles. As of the 14th century, Basque provinces in the south were incorporated into the Kingdom of Castile, the precursor to modern Spain, in exchange for certain Basque privileges. These privileges, called fueros, provided a guarantee of allegiance to the Spanish kings from their Basque subjects for many years to come. They were given special rights, such as tax exemptions, coupled with local autonomy and privileges normally reserved for nobility. The nature of these rights varied from one province to another, sometimes even from one village to the other, working against the integration of various Basque regions. The fueros had a fundamental impact on the evolution of the Basque Country and were fiercely protected, even to the point of bloody armed conflict. In the 19th century, Basque society faced the arrival of liberalism, which was taking hold throughout Europe. The Carlist wars pitted those liberals in favour of political reform against traditionalists who defended the ancient order prescribed by the fueros. The triumph of the liberals in 1876 sounded the death knell for the Basque’s special privileges within Spain, and the fueros were swiftly abolished. They would only reappear a hundred year later to serve as the basis for the existing political structures in place today in Euskadi and in Navarre. Meanwhile, the northern Basque provinces hung in a balance between Spain and France. Even England occupied the region of Bayonne for nearly three centuries. It wasn’t until the 17th century that the last component of the Northern Basque country was permanently reattached to France when their king, Henry III of Navarre, became Henry the IV of France. The French Revolution of 1789 finally put an end to Basque privileges in favour of a centralized and unified French state. 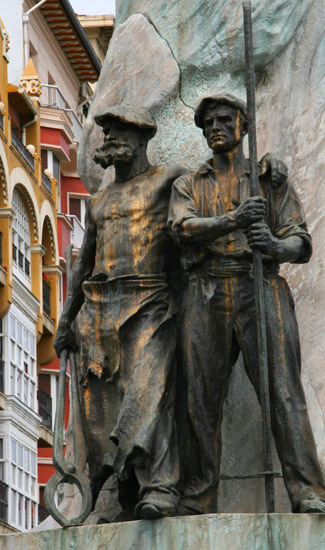 Monument representing Basque workers in Bilbao. At the beginning of the 20th century, the city of Bilbao sees a sharp industrial development which has an impact on the entire Basque society. In the late nineteenth and early twentieth century, industrialization profoundly changed social structures throughout Europe. A movement to centralize and unify culture was underway in France and Spain, thereby denying regional distinctiveness. In the Basque Country, the threat to cultural identity was clear. Industrialization brought a large number of immigrants from throughout Spain to settle in the Basque Country. This wave of immigration provoked anger towards Spanish immigrant workers and to the political and social changes that often accompany industrial development. It is within this context that the modern Basque nationalist movement was born, under the leadership of Sabino Arana. Son of a wealthy Bilbao ship owner and from a deeply Catholic family, Arana drew on traditions defended during the Carlist wars, while also using modern discourse and symbols. The vision he offered was based on rural traditions and Catholicism; he found a threat in socialism, secularism and mixing with Spanish immigrants new to the Basque Country. Arana founded the Partido Nacionalista Vasco (PNV), the Basque Nationalist Party, and began the process of re-establishing an identity based on the concept of a Basque nation. While remaining vague on the idea of political independence, Arana and the PNV firmly defended the autonomy of the Basque provinces. They gave the Basque Country its modern symbols such as a flag, the Ikurriña, and a national anthem. He also created a name for all the Basque territories, calling them ” Euzkadi”. The party was conservative and Catholic as evidenced by their currency, Jaungoikoa Eta Lege Zarra, meaning “God and the old laws”. Following the First World War (1914-1918), the Basque Country was one of the most important industrial and commercial hubs in Spain. The advent of the Second Spanish Republic (1931-1939) polarized Spain between left and right. The Basque Country was far from settled, and infighting pitted Socialists against conservatives. In 1936, General Franco launched a “Christian crusade against communism” and attacked the Second Spanish Republic. It is the beginning of the Spanish Civil War that tore the country apart for three years and ended with Franco’s victory, installing a dictatorship that lasted until 1975. The Basques were forced to pick sides. Navarre, deeply “traditionalist” and “Carlist”, sided with Franco. Other Basque regions, after a period of doubt and hesitation, supported the Republic which granted them their coveted autonomous Basque state. This autonomy, however, was short lived as the Republicans were soon defeated at the hands of an ultimately victorious Franco. Horrified by the bombing of Guernica by Franco and its allies, Pablo Picasso created its famous “Guernica” as a perpetual reminder of the tragedies of war. The Basque paid dearly for their opposition to Franco. The town of Guernica, a symbol of Basque culture, was bombed on market day by German planes at Franco’s disposal, killing more than 1,500 people. Once in power, Franco introduced measures to remove all Basque cultural events. Basque symbols were banned, including the Ikurriña, and the Basque language was excluded from the public sphere. Parents were even refused the right to give their children Basque names. Any dreams of autonomy were swiftly stifled by the Spanish state. Hundreds of Basques emigrated to the French Basque country or into exile abroad. The political answer to Franco’s heavy hand took the form of a Marxist-inspired independence movement, the ETA, or Euskadi Ta Askatasuna (“Basque Homeland and Freedom”). Making their first appearance in 1959, the ETA was primarily a splinter group borne from a schism with the PNV. The ETA reasserted the foundations of Basque nationalism and advocated for the full independence of the seven Basque provinces. The movement quickly radicalized and called for violent insurrection against the Franco regime. Attacks were launched against the Guardia Civil, the Spanish paramilitary police, and Basque nationalism soon degenerated into political terrorism. In 1973, the ETA struck a blow and murdered Luis Carrero Blanco, Franco’s right hand man and presumed successor, in the heart of Madrid. The attack marked the beginning of the end of the regime; following the death of Franco in 1975, power was handed over to King Juan Carlos who re-established democracy in Spain. A nationalist sign painted on a wall testifies of the ongoing debate regarding the political status of the Basque Country. With the return of democracy, regional languages such as Basque took on greater value and became promoted national languages within Spain. A new constitution was adopted, granting autonomy to the Basque Country. Basque voters, however, did not take part, having chosen to abstain from the national referendum on the Constitution on the grounds that it did not offer them enough guarantees. Nevertheless, in 1979, the Basque provinces of Guipúzcoa, Biscaye and Alava all agreed to sign the statutes of the Autonomous Basque Country, Euskadi, into the parameters set by the Constitution. The province of Navarre, in turn, refused to join Euskadi and negotiated a separate status. With Basque autonomy finally established, schisms began to appear within the nationalist movement. Some were open to the new status given to Basque provinces, while others wanted to continue in their struggle for total and complete independence of Euskal Herria. It is within this context that ETA members continued their terrorist activities, despite the return of democracy to Spain. Their political branch, the Batasuna party founded in 1978, relayed their message to the public and even held seats in Parliament. On the French side, the events in Spain inspired awareness of the links between Northern and Southern Basque. A nationalist protest in the streets of Vitoria-Gasteiz. Political violence worsened in the 1980’s with the creation of the Antiterrorist Liberation Groups (GAL), a paramilitary wing of the Spanish police that hunted down and murdered ETA leaders hidden in French territory. Meanwhile, the Basque extremists continued their acts of violence but were increasingly tracked by the Spanish and French authorities. Arrests of militant continued in an attempt to weaken the movement. In 2003, the political wing of ETA, Batasuna, was outlawed in Spain and prevented from participating in the electoral process. Truces were signed twice, in 1998 and 2006, but violent acts and stalking of the extremists resumed. With the banning of Batasuna, ETA militants still at large were even more marginalized by civil society that, with increasing unanimity, condemned the use of violence for political purposes. An industrial relic from a not too distant past in Bilbao. In 2011, the ETA announced the end of its armed intervention and the intention of its militants to pursue their goal of an independent Basque state through democratic and peaceful means. The question of when the ETA will finally be dismantled remains unanswered to this day. Between 1968 and 2011, more than 829 people were killed and thousands more maimed in attacks by the ETA. More than 700 of its members were imprisoned in Spain and France. Political violence has polarized the debate surrounding the issue of the Basque Country’s political status, and it continues to be passionately debated. However, it is hoped that this long chapter of political violence has finally come to an end. Despite conflicts and debates about its status, the Basque Country saw a transformation of its economy near the end of the 20th century from one based on heavy industry to one of innovation. They have attempted to preserve traditional activities, such as steel manufacturing and fishing, by adopting innovative approaches while at the same time developing new sectors, such as modern technology. The approach is paying off and, due to fiscal autonomy, making the Basque Country one of the only Spanish regions to emerge in unscathed from the Spanish economic crisis that follows the 2008 financial crisis.